Sue Etchart was born in Chicago, Illinois, raised in Grand Rapids, Michigan and attended Ferris State College in Big Rapids, Michigan. She has lived in AZ for the past 31 years. She and her husband have three grown children and three grandchildren. 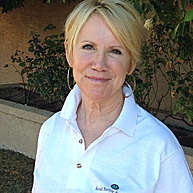 Sue has been involved in many charity organizations over the past 25 years. She was a volunteer in her children’s schools for more than 15 years as well as a member of the PTA and PAC boards. Sue has always enjoyed working with children and finds it particularly rewarding helping them reach their goals and discover the joys of reading. When not working for RBBB, Sue enjoys spending time with her family and friends, traveling, and of course reading!